(US Commerce News) The 4th Eastern Economic Forum is being held in the city of Vladivostok in Russia’s Far East from September 11 to 13. China’s President Xi Jinping and a number of heads of state and government from northeast Asia have joined Russia’s President Vladimir Putin at the event, along with delegations from more than 60 countries, making this year’s forum the largest to date. China has sent a large-scale, high-profile delegation to the forum every year since it was established. President Xi’s decision to attend the forum for the first time at the invitation of President Putin is a clear demonstration of China’s willingness to be a part of Russia’s effort to increase cooperation in the Far East. 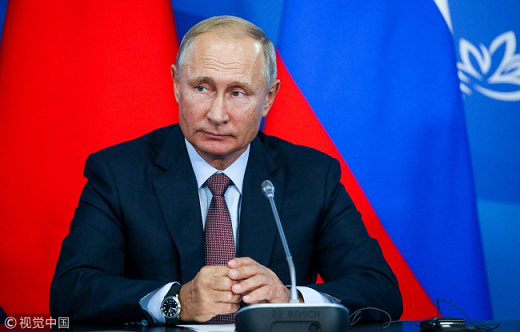 President Putin’s decision to establish the Eastern Economic Forum in 2015 came at a time when Russia was facing a rapid deterioration of its relations with the United States and Europe. At the time, Russia’s policy of looking eastwards for strategic support was regarded by many in the West as a temporary strategic adjustment to ease the pressure of sanctions. But the speed with which Russia’s focus has shifted east in recent years has shown that this is not a short-term tactical decision but part of Russia’s long-term national strategy. Russia can see the huge potential dividends of Sino-Russian cooperation. China is currently Russia’s largest trading partner. And it’s also the largest source of foreign investment in the Far East, with investments of around four billion U.S. dollars. Twenty-six companies from China have settled into the new advanced development zones set up by Russia in the Far East, including at the free port of Vladivostok. At the same time, the two sides are working on constructing better railway and highway linkages across the Heilongjiang River on the Sino-Russian border in an effort to improve infrastructure integration in the border areas. Looking east towards the Far East, Russia sees the opportunities for development. The Far East is a region with great economic potential thanks to its abundant as-yet underdeveloped natural resources. But large parts of the region have been plagued by slow economic growth, lagging infrastructure, and a declining population. As a result, the Far East has been slow to demonstrate its strategic significance and economic value. But this is changing with the development of regional cooperation frameworks including the China-Russia-Mongolia economic corridor and the China-Japan-South Korea free trade agreement. And the countries in the region have been generally positive about the development of China’s Belt and Road Initiative. This growing cooperation is why the region’s leaders such as President Xi, Mongolia’s President Khaltmaa Battulga, Japan’s Prime Minister Shinzo Abe, and South Korea’s Prime Minister Lee Nak-yon are joining President Putin at this year’s Eastern Economic Forum. Russia also sees opportunities of development by looking east towards the Asia-Pacific, which is the fastest growing region in the world economy. It offers both a huge consumer market for Russian goods, and is a potential source of investment for Russia. According to Russia’s customs data, the share of Russia’s trade with APEC members has risen from 20 percent 10 years ago to 31 percent in 2017. And a poll conducted in 2016 showed that 70 percent of Russia’s people believe that the benefits of cooperating with countries in the Asia-Pacific region outweigh the disadvantages. The cynical view of Russia’s efforts to strengthen its ties in the east is that this move is a product of sanctions and its deteriorating relationship with the West. While it can be argued that the sanctions do provide Russia with an incentive to look eastwards for growth, Europe is still an important trading partner. In 2017, Russia’s trade with the European Union still accounted for more than 40 percent of Russia’s foreign trade. Russia can work to maintain its economic relationships in the west while at the same time taking advantage of new opportunities in the east. During the Eastern Economic Forum last year, agreements worth a total of 2.5 trillion rubles (35 billion U.S. dollars) were signed, and this year the amount is expected to exceed 3.5 trillion rubles. Like the double-headed eagle on its national emblem, Russia will always seek a vision that can look both east and west. But it’s fair to say, given current trends, the view towards the east is looking more inviting by the day.